Pu re Grace Soap from Terre Haute, Indiana is a mother/daughter company who hand make all-natural skin care products, yes hand make! There’s nothing better than knowing my beauty products were made in small, pure batches- with the care and love of a true entrepreneur. Pure Grace Soap use natural ingredients, high quality essential oils, and as many organic ingredients as possible. Ingredients: Sweet Almond Oil, Beeswax, Organic Coconut Oil, Shea Butter, Fragrance Oils, Essential Oils. 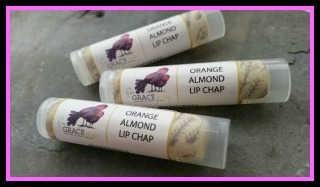 A beeswax-based lip chap is the only kind I use, so hats-off to PureGRACESoap.com for recognizing this. Beeswax takes the crown for having an unprecedented way of coating lips to keep em smooth not temporarily but permanently. When it comes to lip dryness and dehydration pain, beeswax is the cure. These chap sticks protected my lips like Fort Knox! They smoothly glided on and formed a sweet tasting layer I could feel on my lips for a few hours after applying. These are creamy, gleamy soaps that glide on skin sometimes with a gentle exfoliate or a pure carrier oil. They were pungent enough to make my whole shower smell like a fresh spa, including me. For extremely dry-skin like mine, these bar didn’t make me feel like a crocodile as most soaps do- they were moisturizing and easily foamed-up. PureGraceSoap mention letting your soap dry-out between uses to extend life; a dry soap-tray did the trick for me. I appreciate the fact these soaps don’t break the bank either; they’re affordable! When I wasn’t using the extra bars, I stored them in my drawers- my clothes smelt amazing from it, definitely recommend trying this. This company was born out of love. 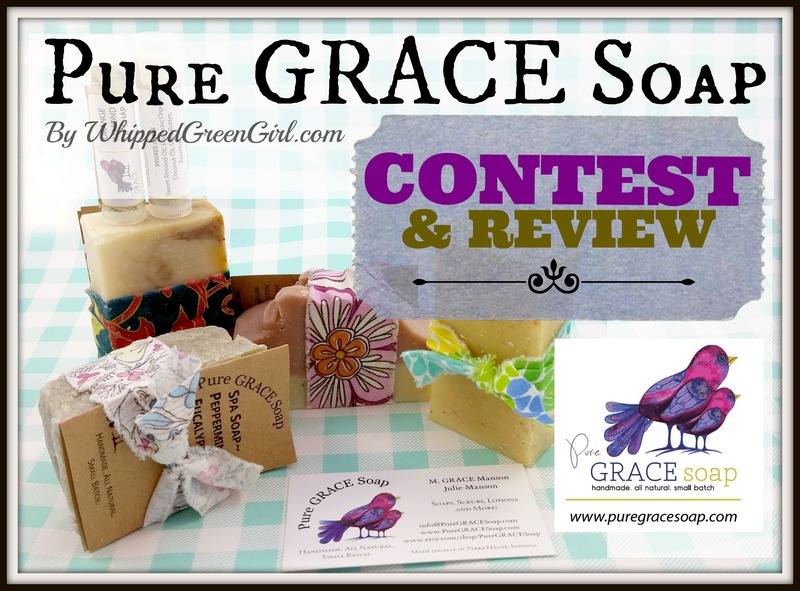 It’s apparent they have a passion, from their personally crafted ribbon-wrapped soaps to unique blends that keep your skin cleansed- PureGRACESoap.com is a company who’s craft gets respect. No mega-processing, no cheap synthetic ingredients, instead Pure Grace Soap just want to find a little place in your lives to make them simpler, pure and clean. Products for the whole family, made by a family- it doesn’t get more sincere. 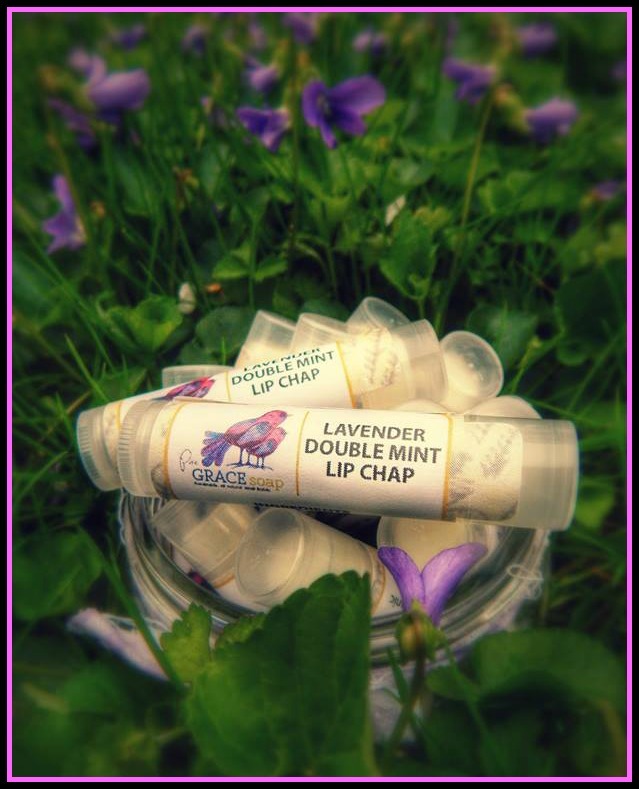 Angie, I am so glad you enjoyed our soaps and lip chaps! Thank you for your kind words about our line of products and for highlighting how hard we work to make products we feel great about. We are thrilled to be partnering with you for this contest! This is a great start to using natural products. I would love these! I love everything I have ever purchased. I was so excited to see them at the Herb Faire this year. I stocked up! Thank you for such wonderful homemade products. 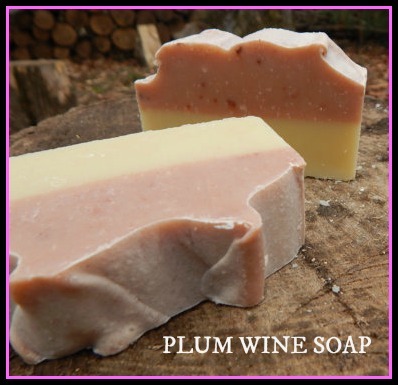 These soaps sound amazing, so creative and wonderful! The lip chaps sound nice, too! I hope I win. yay! Lovely products! I would love to try Lavender Lemongrass Soap, Spiced Orange Spa Soap and the Cocoa Kisses Mint Lip Chapstick. I’m just learning more about natural products myself, so thanks for sharing and for the opportunity to win product to try them out. Thank you for this giveaway! The soaps and lip balms look gorgeous — you can tell they were made with skill, care, and dedication! Ooh. Her products sound wonderful! 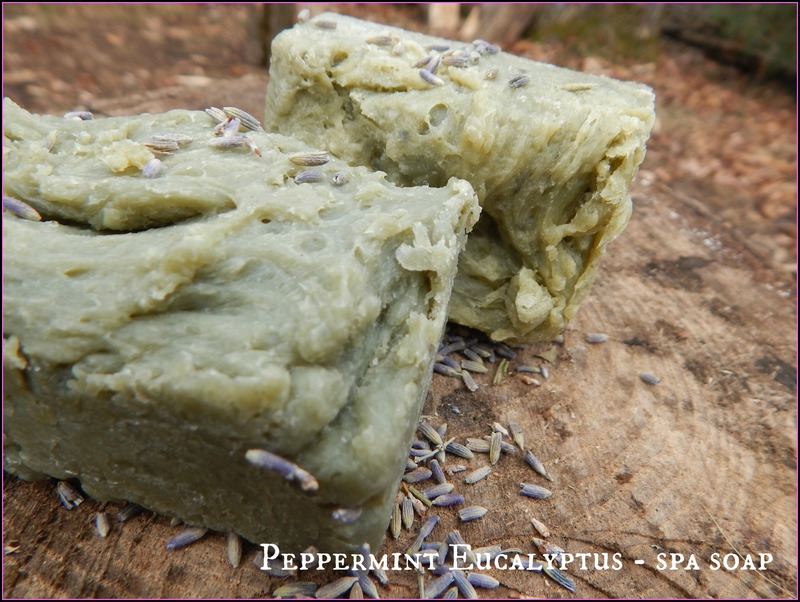 I especially like the combo of peppermint and eucalyptus in her spa soap, I kind of like that it’s not a pretty soap either… lol. I’d love to try her lotion sticks a shot too! These soaps look fantastical !!! A wonderful giveaway! Thanks for the chance to enter. Thanks for the chance to win!! beautiful soap! Thanks for the chance I would love to try this soap! These soaps seem great, I love that they made your skin soft! I would love to try these soaps. I bet they smell divine. What a great array of products, they look so wonderful! I would love to try the Coconut soap. 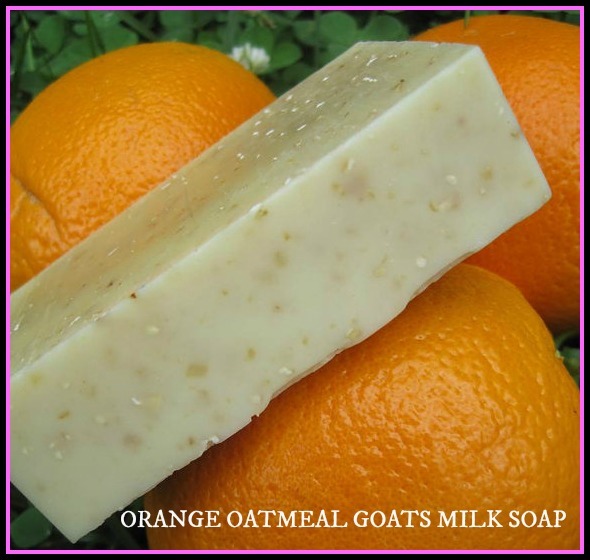 I love Goat soaps! I would love to try the soaps and lip balm. Thank you for the contest opportunity. I would love to try so many of these products! Thanks for the chance! Super fun giveaway! I love trying new organic items! Thanks for the chance. I LOVE handmade soaps! Thank you so much for the giveaway!! Her bath bombs are pretty awesome too! Thank you for the giveaway. What a great chance to try this brand. Thanks!